In this article of Spring Boot tutorial, we will see how to enable HTTPS in Spring Boot application. We will generate and configure the self-signed certificate for this example to enable HTTPS in Spring Boot application. In this article, we will use Java keytool to generate the self-signed SSL certificate. Other options is to get this certificate from a certification authority. For the production environment, always get your SSL certificate from these certifications authority (CA) also known as CA. To generate the SSL certificate, run the keytool -genkey command with the following parameters from the command prompt. -genkeypair generates a key pair (a public key and a private key). 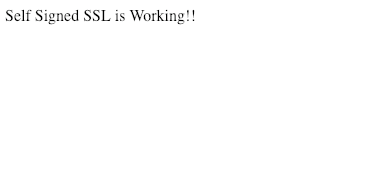 -alias javadevjournal shows the alias of the certificate used by SSL/TLS layer. -keyalg RSA -keysize 2048 -validity 3650–crypto algorithm, keysize and certificate validity. -keystore javadevjournal.p12–actual keystore where the certificate and public/private key stored. JKS – Java KeyStore, limited to the Java environment only. PKCS12 – Public Key Cryptographic Standards is a password-protected format that can contain multiple certificates and keys; it’s an industry-wide used format. We’ll copy the file named “javadevjournal.p12″ into the “src/main/resources/keystore” directory. With above configuration, we have enabled HTTPS in Spring Boot application. Our application is ready to accept and server over HTTPS. Let’s create a simple REST controller to test our application. To test our application, let’s create a simple REST controller. To see our SSL configuration in action, build and deploy our Spring Boot application. You can also run your application through your IDE for testing purpose. 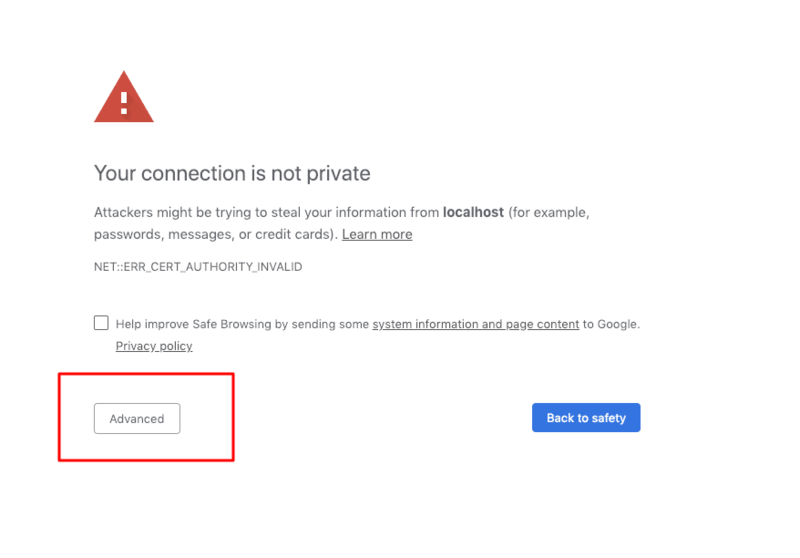 Once your application is up and running Go to https://localhost:8443/ssl-test and you will get a browser warning since it is not issued by a trusted certificate authorities, add the exception to the browser and you will get a response from HTTPS server just created by you. You want to make your application accessible over HTTP but want to redirect to HTTPS. You are moving away from HTTP to HTTPS and want to make sure all HTTP requests redirects to HTTPS.